1) Our selection this weekend starts off with a video shot by AIAC film editor Dylan Valley — Niko10Long hips us to the real Politrix going down in Cape Town, South Africa. 2) Brooklyn staple with Guyanese roots, Jahdan Blakkamore ushers in an upliftment anthem to end all sufferation. 3) The multi-talented, Boston-based Sierra Leonean scientist/rapper David Moinina Sengeh brings a positive Afrobeat jam and video. 4) Mozambican-Canadian singer Samito releases a dance art video for his epic Tiku la hina. 5) Keeping it in the Mozambique realm, Spoek Mathambo reveals Batuk, his new partnership with Aero Manyelo, a deep house project inspired by the Afro-luso house scene based out of Maputo. 6) Daniel Haaksman proposes to Rename the Streets in the former colonial capitals (his being Berlin) to not celebrate the war criminals and crimes of the nation’s past, #NamesMustFall — respect Daniel. 7) Stephen Marley celebrates the great innovations from African history, alongside Wale and the cast from the Fela! musical. 8) Renown coreographer Maimouna and Les Ambianceuses out of Paris call for all women to take their power back via a little “Booty Therapy.” 9) Christain Scott aTunde Adjuah brings us back to an age where Jazz and politics were one, via an integral #BLM lens, at NPR’s Tiny Desk concert series. 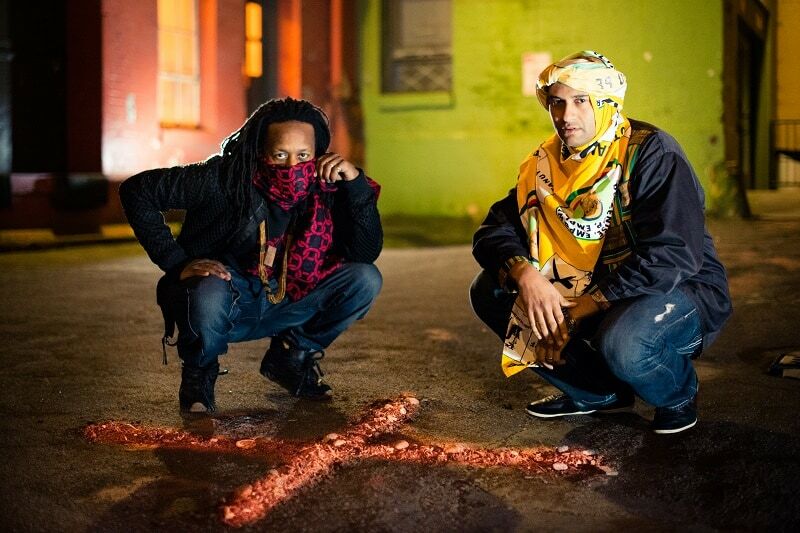 10) And finally, Seattle based Zimbabwe-DRC crew Chimurenga Renaissance reveal their new EP Girlz with Gunz via a beautifully executed thematic streaming video.